I’ve been re-reading Walt Whitman’s Leaves of Grass (the 1891 edition). Now don’t think I’ve suddenly become a cultured intellectual. Don’t worry, if you continue reading I’ll prove my pedestrian self. 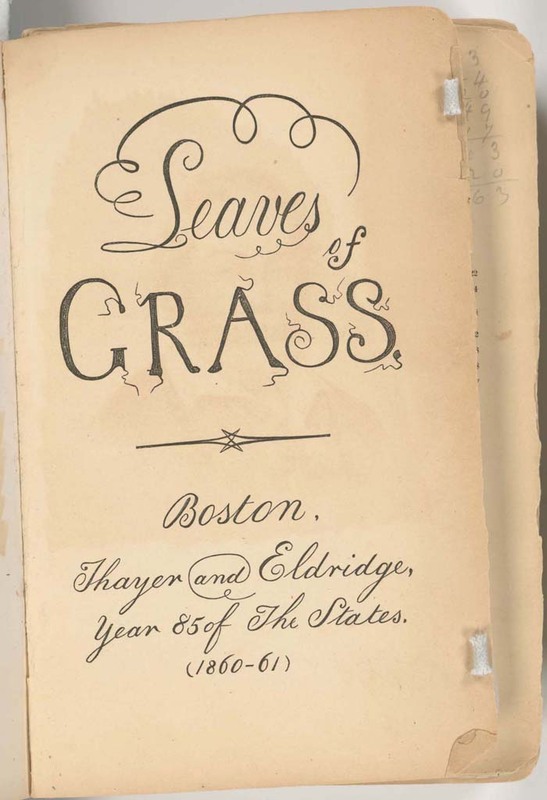 But Leaves of Grass is a wonderful orchestration of words. 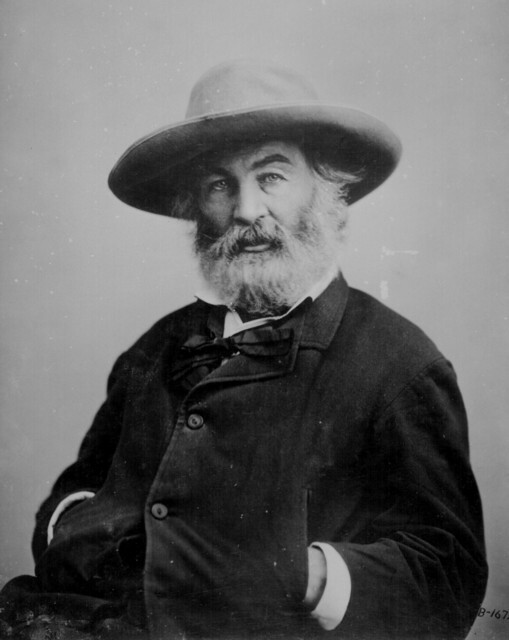 Whitman paints with the language. The poems are about an earthy passion, lustful and natural. Simultaneously, I began to consider growing a beard. I'd like to buy the world a home and furnish it with love, Grow apple trees and honeybees, and snow white turtledoves. I'd like to teach the world to sing in perfect harmony. These may not match Whitman’s eloquent language, but they share the same sentiment: Have you ever loved the body of a woman? Have you ever loved the body of a man? Do you not see that these are exactly the same to all in all nations and times all over the earth? Yes, my mind works in odd ways connecting ideas that are probably best unconnected. And if you are Walt Whitman fan, you are probably revolted by the audacity to compare Leaves of Grass to a Coca-Cola commercial. But there you are. What can I say? This is remarkable. 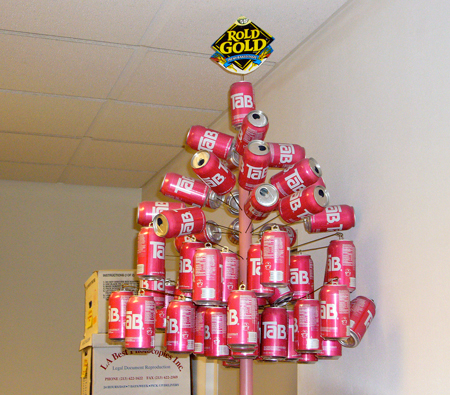 I found this Tab tree in a storage room of the Roybal Federal Building, United States District Court. I don’t know who made this, but you are a master. For those “Young-uns” out there, Tab was a diet soda produced by the Coca-Cola Company. This is actually better than the Tab car on The Sarah Silverman Program. Hopefully, this will serve as inspiration for anyone crafty with dowels, Rold Gold pretzel labels and cans of Tab.